There are five tabs under the Email Notifications page of Portal Settings. The Sender tab allows you to set the portal’s administrative name and email address. 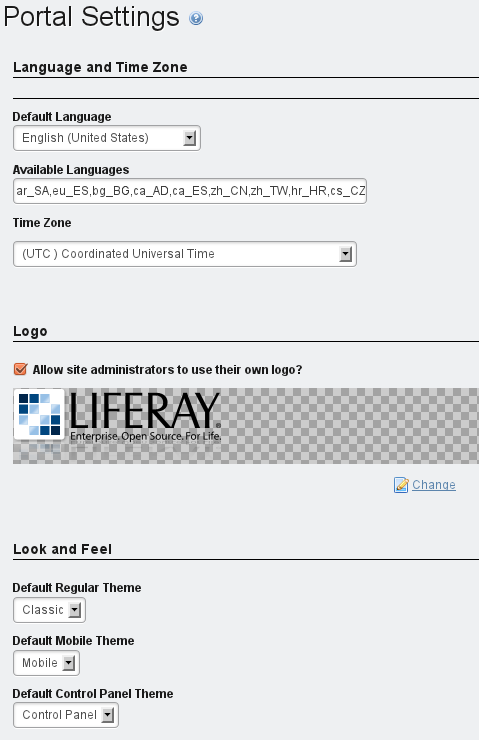 By default, these are Joe Bloggs and test@liferay.com. You can change them to whatever you want. 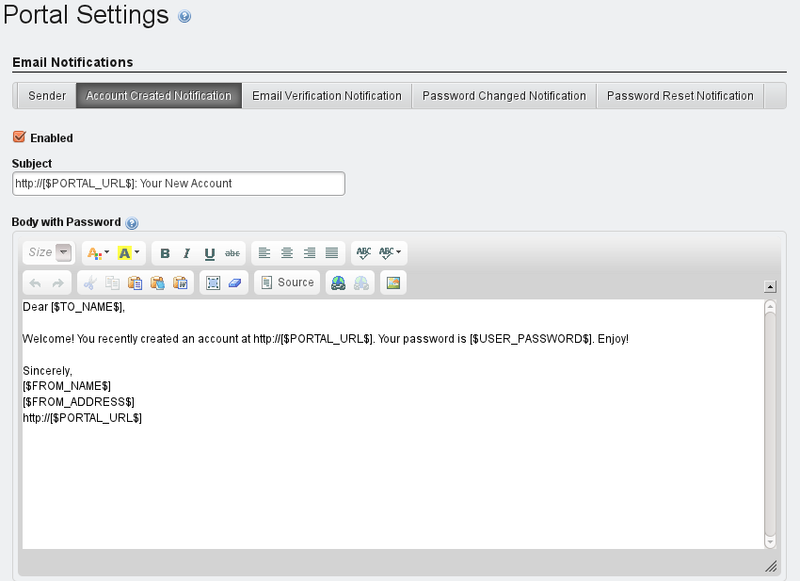 This name and email address will appear in the From field in all email messages sent by the portal.